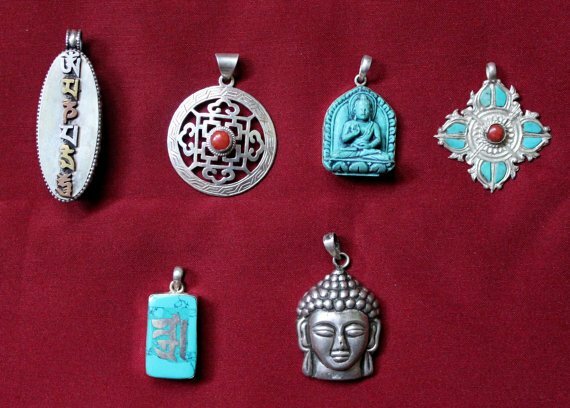 This lot consists of six Tibetan charms pendants handmade by Newar Artisans of Nepal. 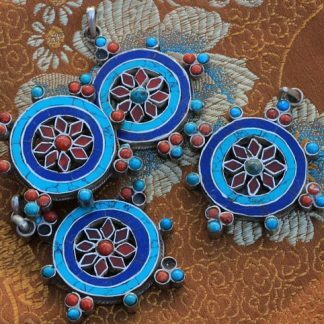 They are made out of 925 silver and semi precious stones like – coral, lapis, turquoise. It is believed that these charms bring everlasting peace, love and luck in your life. 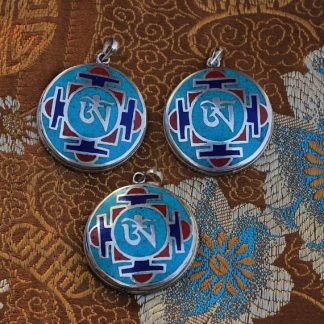 Vishwa Vajra is also know as double dorje. 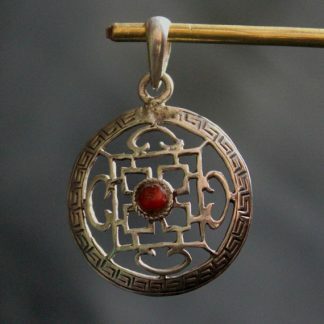 it is the cross of two vajra or dorjes. 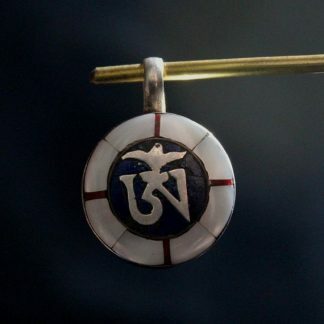 This is a prayer box pendant that can be opened to put your desired mantra inside. 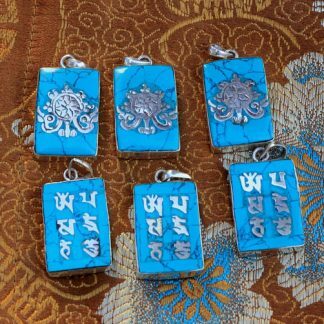 In tibetan language Ghau means prayer box. 6. Amogh Siddhi Turquoise Pendant. Deity Amogh Siddhi is handcarved in turquoise stone and the stone is covered in 925 silver locket.